LED Lighting offers all possible information and news of indoor, outdoor, residential, industrial, and commercial LED Lighting products. 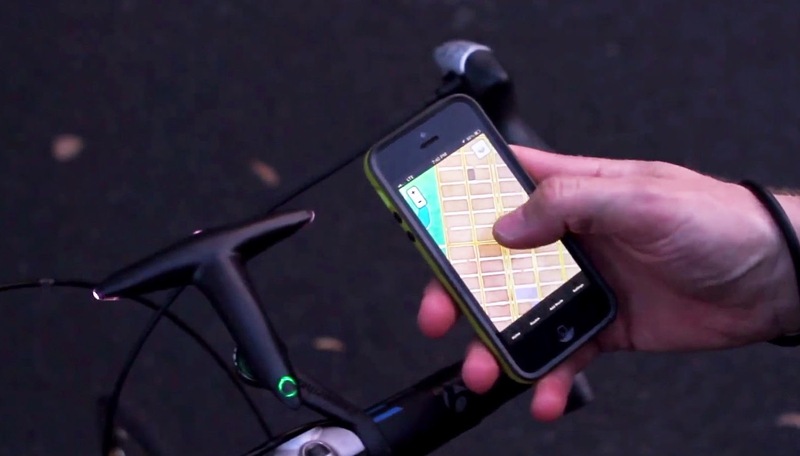 Recently, Hammerhead company launches LED navigation for cyclists. The LED navigation is designed with sophisticated electronic device, but its easy-operation function helps users in navigation. With a T-shaped design, the navigation direct cyclists with a number of flashing LED lights. The LED navigation is equipped with a specific APP that supports Apple iOS and Android system. It does not have a built-in GPS. It connects with cellphone via Bluetooth, and guides directions by controlling the LED lights and other visual information. The APP is equipped with a map for cyclists in route-planning. You can set the route upon your preferences so as to experience various degrees of cycling. In addition, Hammerhead LED navigation can also serve as a special bicycle lamp. When driving at night, the navigation would power up led lights in different positions to show different guide information, like a turn, distance to the turn or destination, U-shape turn, speed, compass, etc. Currently, this bike LED navigation could provide navigation for six hours or so. Besides, the navigation has front lights, offering around 15-hour illumination for cyclists. The price is about $75 (about 470 RMB). "NI LED Parasol: No Darkness at Beach Night Any Longer"
"Removable LED Flashlight Door Handle"
"Creative 3D LED Wall Lights"
"Hammerhead LED Navigation for Cyclists"
"5 Unique LED Inventions to Check"
"Wood Night Vision LED Watch"
"Driving on Solar-powered LED Glass Road?" "Saffron Drift Light: LED Bulb Promotes Better Sleep"
"Cree Smart LED Bulb Saves Over 70% Energy"
"China LED Lights: A Threat to South Korea LED Companies?" "Philips Canlyte Closes Cornwall Lighting Plant"
"Apple Purchases LuxVue for iWatch Display"
"Unique BMW OLED Car Light Design"
How to DIY LED Home Light? How to Choose and Buy LED Flood Lights? theledlighting.blogspot.com. Simple theme. Powered by Blogger.